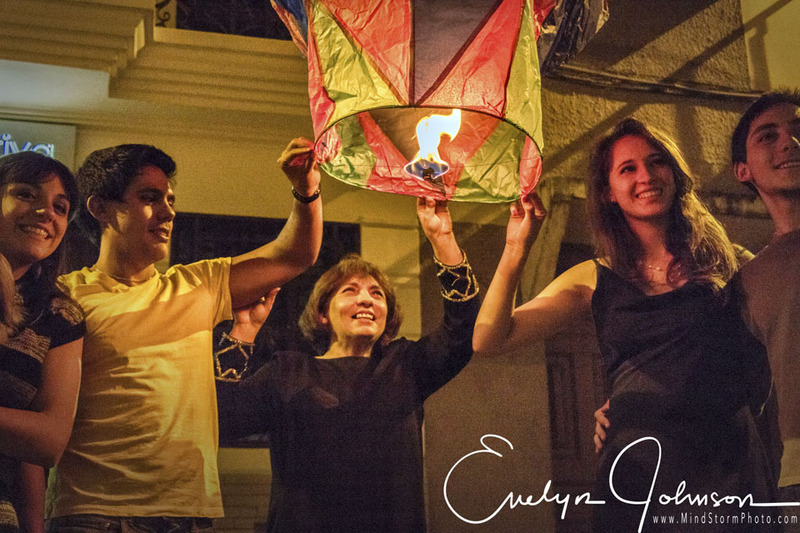 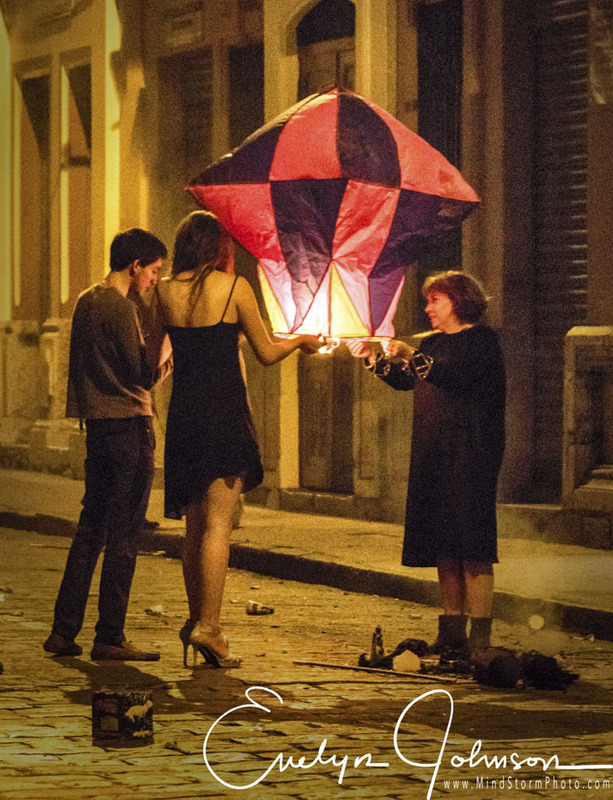 This was our second New Year's Eve celebration in Cuenca, Ecuador. 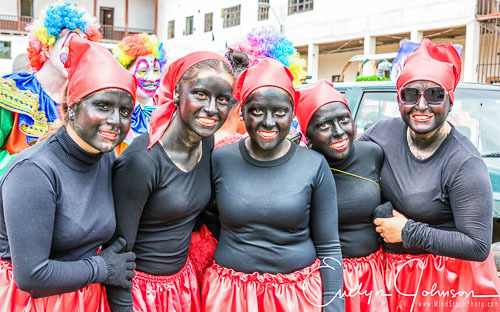 Many fiestas and parades occur even before New Year's Eve. 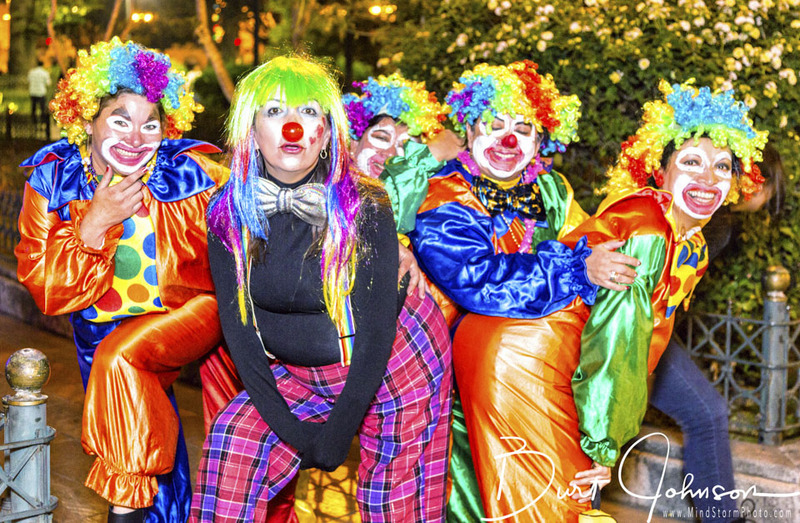 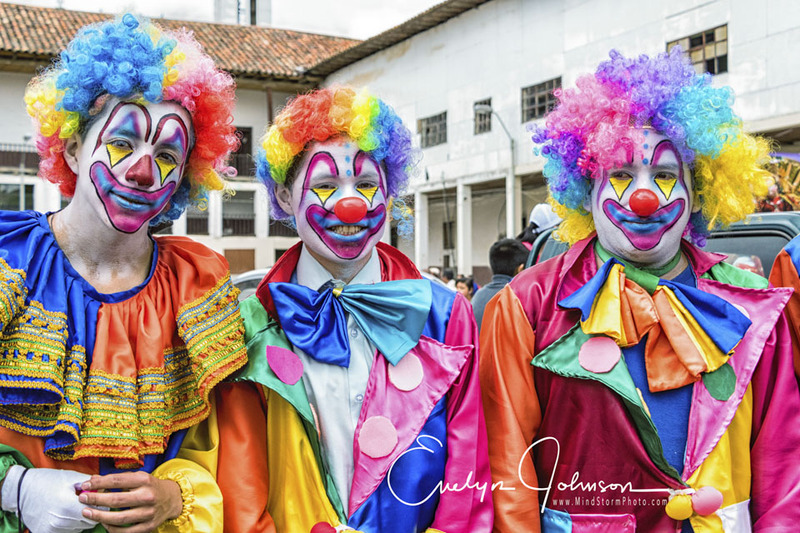 Clowns were inside court yard at Iglesia La Mercel. More entertainment at Iglesia La Merced. 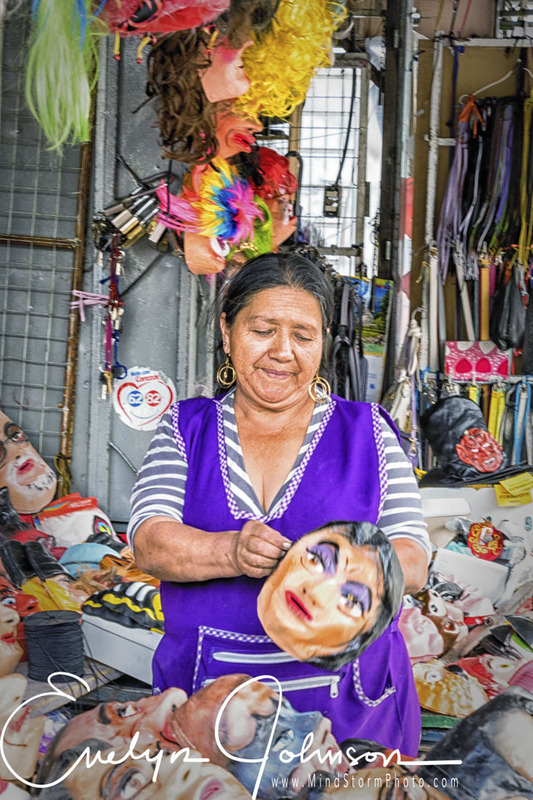 Mask vendor at San Francisco Plaza. 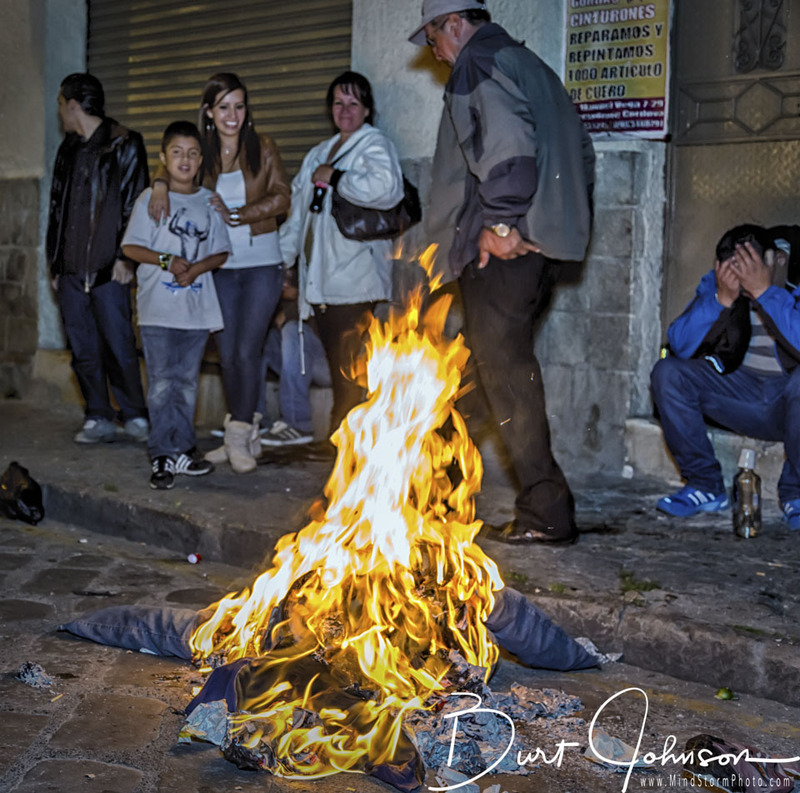 Families bring their manigotes to burn on the streets of El Centro. 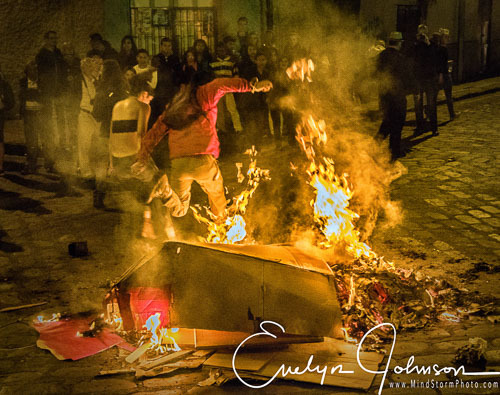 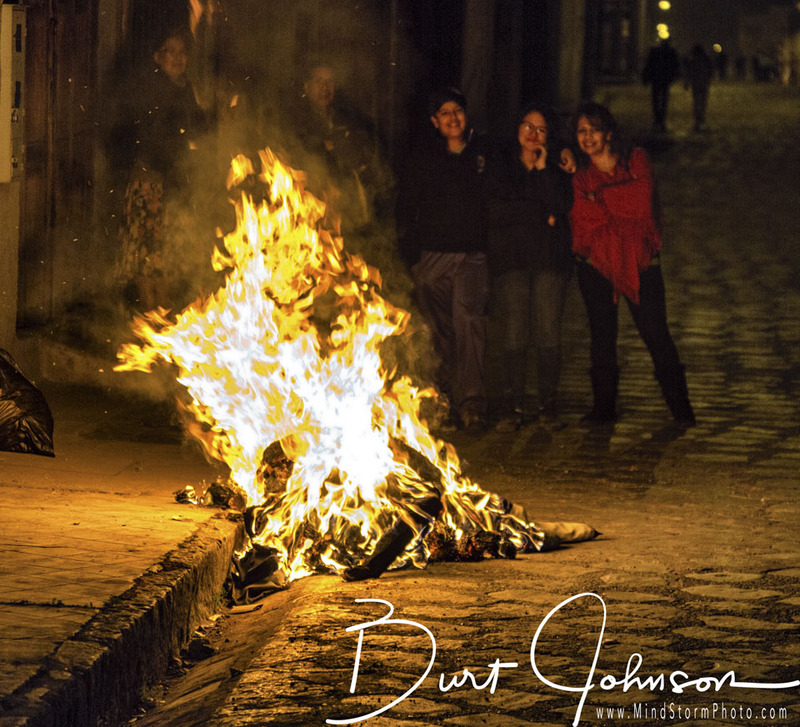 More effigies burning on the streets of El Centro in Cuenca, close to cars. 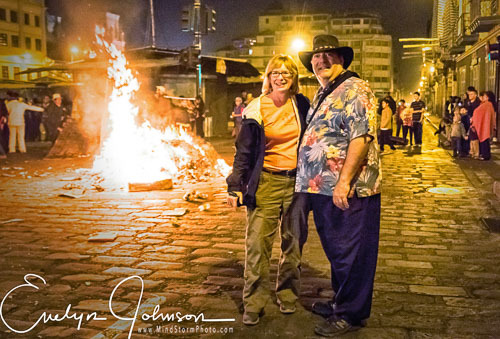 Family portrait on corner of Calle Larga and Padre Aguirre. 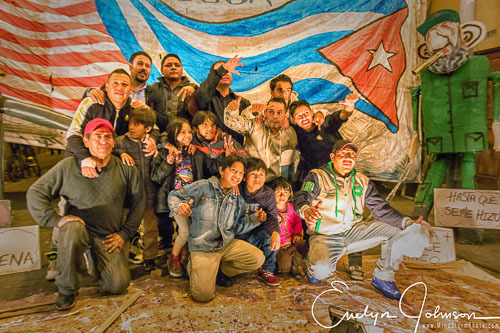 Diorama pokes fun of Obama and Fidel Castro. It looks like a war zone at Plaza San Francisco. 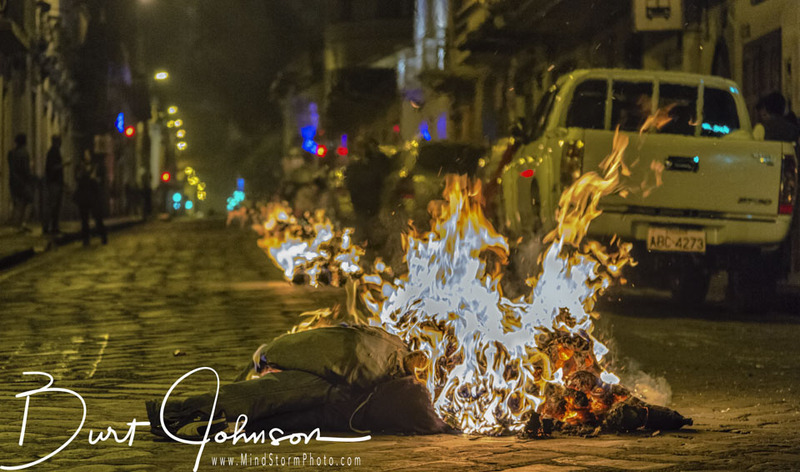 The city looks like a war zone. Our friends, John and Julie, are on the streets at midnight.